An opaque view of Eugene Genovese across a smoke-filled seminar room was my first encounter with a living, breathing Marxist. His Roll, Jordan, Roll had won the Bancroft Prize for its analysis of slaveholding. He became the Organization of American Historians' first Marxist president, introduced many to an appealing application of Antonio Gramsci's theories, and edited Marxist Perspectives. But this brilliant thought-leader made a 180-degree turn, and by the 1990s had become a famous former Marxist. Instead of praising the Viet Cong, Genovese was supporting traditional conservatism and the need to understand sin. He even became a Catholic. Such major shifts by authors leave some readers scratching their heads and others thanking God. But regardless of writers' changes in outlook over the years, their books assume their own lives. J. R. R. Tolkien (had he so desired) could no sooner reel in Bilbo Baggins from the public pond than J. K. Rowling can Harry Potter and Hogwarts. 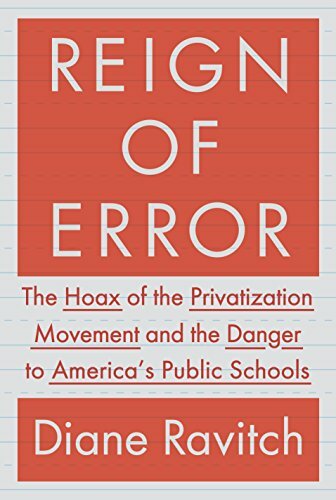 And that's where Diane Ravitch finds herself in today's educational morass, attacking the very school reform movement she helped launch. Ravitch, a prolific author, incessant blogger, and former U.S. Assistant General Secretary of Education under George H. W. Bush, has also done a 180. She was a strong advocate for No Child Left Behind, pushing for its aggressive implementation, and had a firsthand view of the data behind this initiative from her seat on the National Assessment Governing Board (1997-2004). Her shift to an unrelenting attack on both the No Child Left Behind and Race to the Top programs is seismic. She now promotes year-round pre-K, stronger teachers unions, tenure, and prohibiting licensure for for-profit privates, and she has launched verbal blitzkriegs against private schools.